The summer days are not over in Idaho Springs on Clear Creek. If you are still looking for a last minute vacation, take a trip up to Idaho Springs which is a short 30 to 45 minute drive from Denver. The water levels are still up and we are still having a ton of fun. At this location, AVA offers beginner and intermediate rafting trips as well as zipline adventures. The beginner trip will be a 1/3 day trip, which means you will be on the water for 1.5 to 2 hours and the total trip time is about 3 hours. This is a great trip for families looking for a good, first-time rafting trip. The minimum age is 6 years old and 50lbs. The next level up will be the Intermediate 1/2 day trip, which is 3 hours total and a minimum age of 15 years old. You will see a lot more whitewater on this trip, but do keep in mind the levels are lower than usual, so be prepared to evade some obstacles which means more paddling and listening to your expert guide. 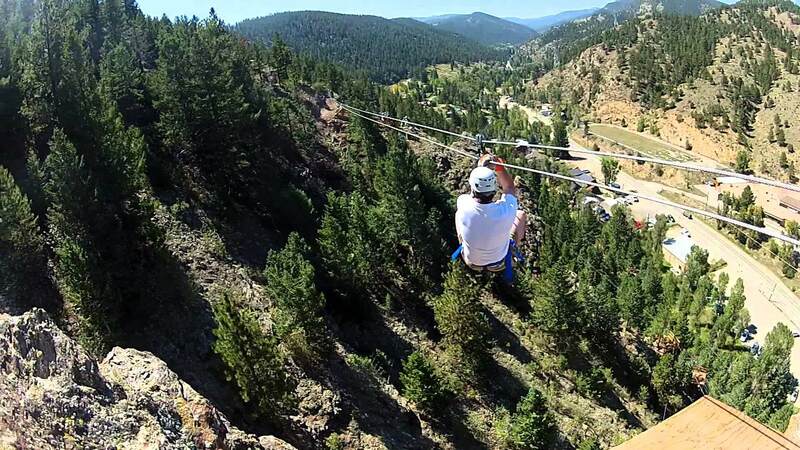 If water is not your cup of tea, head up to our mountaintop zipline at the same location in Idaho Springs. We offer six different zip lines on the mountain with a total trip time of about 2 hours. You will fly through the trees going through each line with the last one going right over Chicago Creek and ending right where you parked your car. Even when the rafting is over, the ziplines will continue to run through the winter time! The summer is definitely not over in Idaho Springs on Clear Creek. We are still running trips and enjoying the beautiful scenery on the river so come see us!